How did this experience impact me? 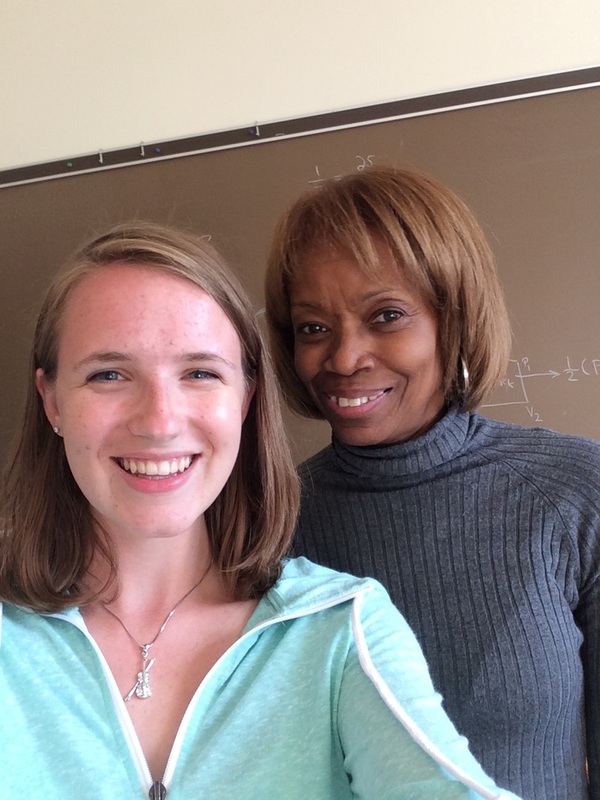 For this assignment, I chose to interview Dr. Willetta Greene-Johnson, who is my Chemistry 101 professor. I chose to interview her because she is always to excited to be teaching, and seems to be genuinely passionate about what she does. Also, Dr. WGJ always seemed like a very likable person, and after interviewing her, I can confirm that she is indeed incredibly personable. During the course of the interview, I was surprised to learn that Dr. WGJ helps to train new professors. I believe that I was surprised because I had never considered that aspect of teaching at the university level; however, after giving it some thought, it makes a lot of sense, because Dr. Greene-Johnson has been teaching at Loyola for 22 years, thus any new professor would have a lot to gain from her. I also learned that Dr. WGJ began her college career as a pre-med major, but ended up switching to physics, and now teaches both physics and chemistry. She did not picture herself in this career when she was a college freshman, which makes me think that perhaps a similar thing could occur for me. I am currently on a pre-med track with a definite goal of pediatrics; however, I recognize that those plans may change throughout the course of my time at Loyola. Dr. Greene-Johnson mentioned that teaching students to understand and appreciate diversity is very important to her, as that allows them to look beyond the barriers that small differences create and trust one another to accomplish their portion of the work. Eventually, this could lead to some amazing things being accomplished. I can most definitely relate to this value, because I believe that differences such as race, religion, and gender do not impact a person's intelligence or worth; therefore, every single person can bring something valuable to the table. Dr. WGJ also discussed the fact that faith in action is integral to her teaching style, as she does her best to express to students that even through science, one can be compassionate and ethical, which ultimately leads to "using science for good". I agree with this as well, because this is one of the major reasons that I have chosen to go in to medicine: I can use the cutting-edge innovations of science to do good in the world, and hopefully make a positive difference. This assignment was not very difficult for me to complete, because I have been approaching teachers to discuss various things in a one-on-one basis for years now. I have not, however, done anything like this, so it was a little bit challenging for me to begin to conduct the interview. Once I began, though, I realized that it was not bad at all, and that I actually quite enjoyed it. If I were to meet another faculty member outside of class, I might consider meeting Dr. McIntosh, my honors discussion professor.